Welcome to the Natural Resource Inventory and Monitoring Science Area Web page. 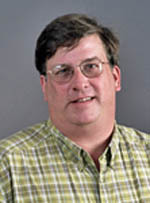 I’m Bill Burkman, Program Manager for the Southern Research Station Forest Inventory and Analysis Work Unit, which forms the majority of the research in this science area. As of 2006, the 13 Southern States contain 33 percent of the U.S. population and are growing faster than the rest of the nation. These and other forces place additional demands on the region’s forests. This science area collects, analyzes, and reports information on the status and trends of southern forests. This is accomplished through the Forest Inventory and Analysis or FIA Program, which has conducted forest inventory since the 1930s. Our mission is to create and maintain a current comprehensive inventory and analysis of the present and prospective conditions of the nation’s forest and rangelands. The FIA program tracks forest health indicators along with comprehensive forest inventory data across the southern States. We measure each State about every 5 to 7 years, depending on the State. FIA also collects information on Timber Products Output from the southern forest industry and for the National Woodland Owners Survey. Information collected by our talented team of researchers answers questions such as how much forest exists, where it exists, who owns it, and how it is changing. You can access and query FIA data, information, and reports through our Web page. In addition, FIA combines this information with related data on insects, diseases, and other stressors to assess the health and potential future risks to forests. This data can help users to evaluate wildlife habitat conditions, assess ecosystem management practices, and support planning and decision-making activities by public and private enterprises. FIA works cooperatively with its primary partners, the southern State forestry agencies, in its inventory efforts. Please let us know how we can meet your forest resource information needs in the future. Thank you for our interest in the Natural Resource Inventory and Monitoring Science Area and the FIA Program.